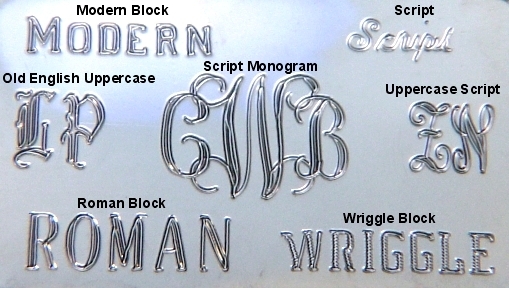 Custom Monogram Bracelets-Create Your Own Monogram Bracelet at Designet! Custom two tone 14Kt yellow & white with the name 'Lori'. 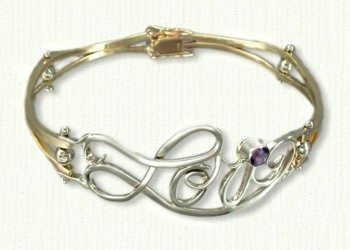 Shown with amethyst over the i. Shown in 14KY with the initials 'JMS'. Shown in 14KY with the initials 'T K M C'. 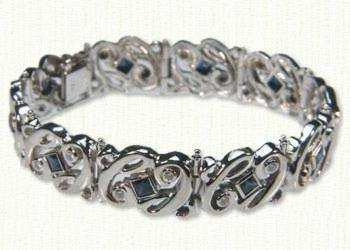 Visit our Custom Gemstones Page for other bracelet styles. 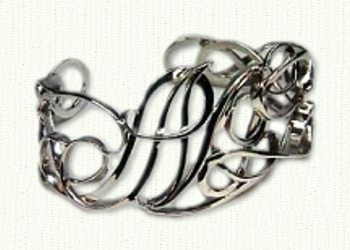 Hand engraved custom cuff bracelet. Please call for pricing in the size and metal of your choice. 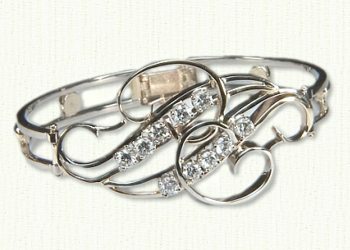 Hand made hinged bracelet in 14kt yellow and white gold set with ten .20ct round brilliant cut diamonds. 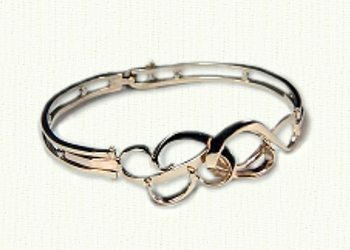 Hand made hinged bracelet Shown in 14kt yellow gold. 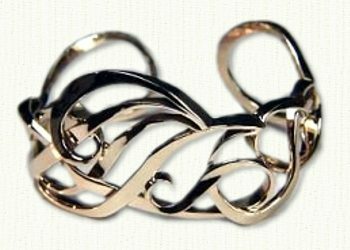 Shown in 14kt Yellow gold. 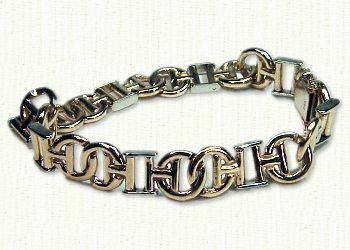 We can create a unique bracelet using your initials.